What Does Rhubarb Taste Like - Is Rhubarb Tart or Sour or Savory? Is Rhubarb Tart or Sour or Savory? Many people wonder, What does RHUBARB TASTE Like? Is it Sweet or Sour or Savory? It seems to be a food that people either love or hate. I believe that rhubarb is not the most popular vegetable in the produce department of a grocery store ... and that's too bad. Some say it is a food that you need to "acquire" a taste for. My opinion is that raw rhubarb is definitely not sweet in taste or flavor, but rather quite tart. But ... I LOVE Rhubarb! Rhubarb is both tart and savory - a great taste without the natural sweetness ... that is it is amazingly full of flavor when eaten with sugar or better still, when cooked or baked into a delightful recipe. If you have never tried rhubarb I would recommend you first taste it with sugar, honey or a sugar substitute to take care of the tart flavor of rhubarb. Yes, rhubarb is naturally a tart vegetable. (It IS a veggie, not a fruit, although it is often "treated" as a fruit). Many people compare the taste of fresh raw rhubarb to that of sour green apples. It is somewhat like that, but not entirely... but it is perhaps the closest comparison. The flavor does vary according to the variety of rhubarb as well. BUT, don't let the raw taste of rhubarb fool you (!) ... when it has been cooked into a scrumptious rhubarb sauce or ice cream topping or baked into a yummy recipe such as rhubarb muffins, breads, cookies, or delectable dessert recipes such as crumbles, crisps and of course rhubarb pies - RHUBARB DISPLAYS IT'S AMAZING TASTE! And remember too, like all vegetables, rhubarb has nutritional value too! Rhubarb also pairs extremely well with strawberries, bananas, raspberries, blueberries, apples and more! I also use rhubarb as a veggie in soup and chili and in salads! I really cannot think of a more versatile food than rhubarb! The recipe possibilities of things to make with rhubarb are almost endless! 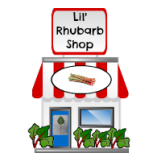 Use the navigation bars at the left of this website (in desktop mode) or scroll down for the navigation bars (in mobile view) for links to hundreds of recipes to make the most delicious dishes with rhubarb! 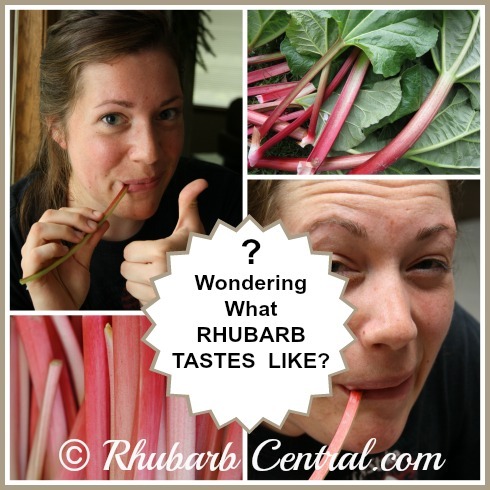 Perhaps you are considering growing rhubarb? 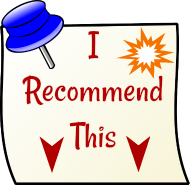 I wholeheartedly recommend it! If you are "new" to rhubarb - I recommend starting with making a stewed rhubarb sauce. This stewed rhubarb sauce recipe is the rhubarb recipe I have made most often for the past 35 years! This rhubarb sauce can be kept in the fridge for at least a week or it can be stored in the freezer for up to a year. It can be used as a side dish for any meal, or used in a recipe, as a topping for ice cream, cakes or pudding, or make a rhubarb parfait with it! 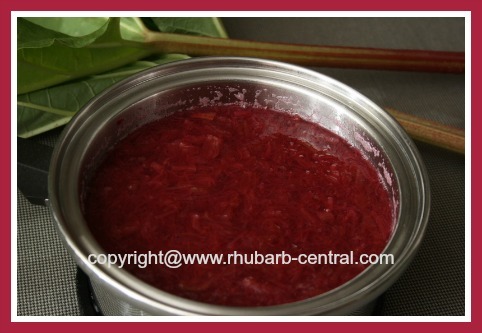 By adding raspberry or strawberry gelatin ("Jello") to the stewed rhubarb as I do in the recipe I use, not only is the rhubarb sweetened, but you are left with a beautiful rosy red rhubarb sauce - full of delicious rhubarb flavor! Do People Really Eat Rhubarb Raw? I was truly amazed by the number of responses that said they do enjoy eating this vegetable raw! Many people referred to their first experience with eating raw rhubarb as taking place many years ago -- often in connection with visits to Grandparents. I tried to eat rhubarb raw, but the sour taste was too overwhelming for me! 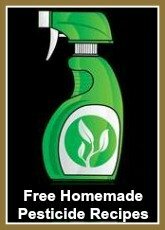 I LOVE my rhubarb in recipes, but not raw! See also: Do YOU Eat Rhubarb Raw?